Hampton Inn & Suites by Hilton Ogden, along with the Ogden Eccles Conference Center, hosted a dinner and movie night on Thursday, November 17th, for Children of The Christmas Box House. The dinner and movie night was held in one of the hotel’s meeting rooms. After dinner, the children enjoyed delicious pumpkin and pecan pies before watching a movie. The Christmas Box House serves children and teens who are victims of abuse, neglect and abandonment. 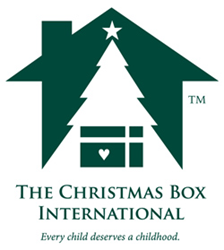 For more information, please visit http://www.thechristmasboxhouse.org/. Located in the heart of downtown Ogden, Utah, Hampton Inn & Suites by Hilton Ogden offers guests affordable packages, desirable amenities and welcoming service at one of the best hotels in town. Comfortable guestrooms feature king or double queen beds, suites and mobility accessible rooms, available upon request. All guests receive complimentary Wi-Fi, access to the fitness center and business center, free breakfast and much more. Located within easy walking distance to various dining, shopping and entertainment venues, Hampton Inn is the ideal stay for all travelers. For more information or to make a reservation, please visit http://www.hamptoninnogden.com or call (801) 394-9400. The Hampton Inn & Suites by Hilton Ogden hotel is proudly managed by Stonebridge Companies in Denver, Colo.